Every time I stumble upon the City Center development in the heart of DC, I feel a sudden jolt. The area doesn’t fuse seamlessly into the rest of the city. Instead it stands apart – with its bright and shiny facade. 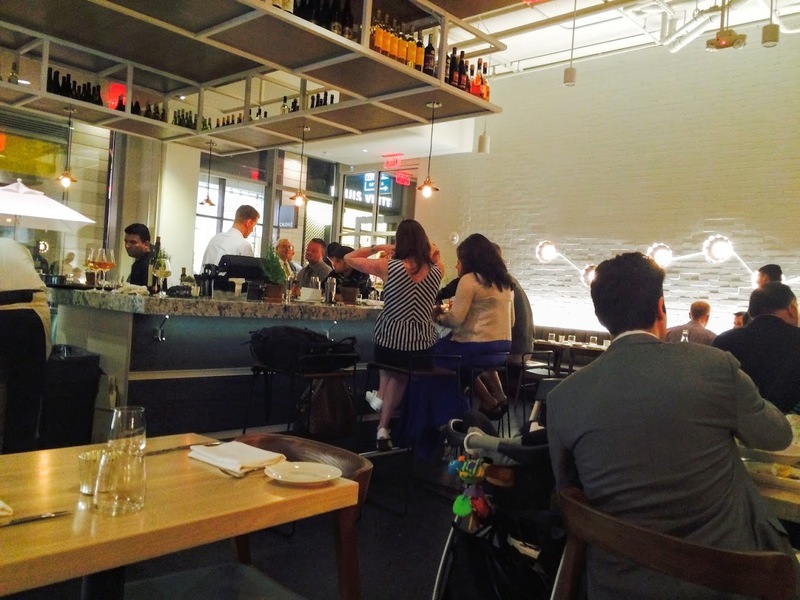 On the other hand Centrolina, the Italian restaurant nestled between the upscale shops and pedestrian plaza, melds quite well into the DC dining scene. It’s a welcome addition. Chef/owner Amy Brandwein has created a menu that showcases authentic Italian dishes, with a focus on seasonal ingredients. 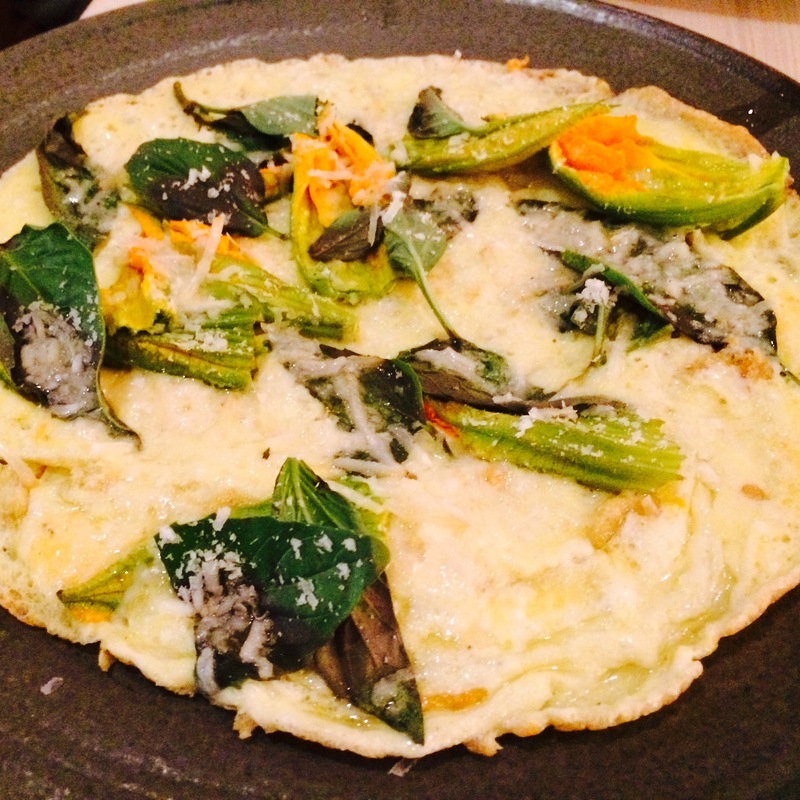 My first visit is in mid-June, which means that some dishes described here don’t appear on the menu. One of my dining companions is my 16-year old nephew, who volunteers to venture into unknown food territory by sharing dishes with me. First up is Pulpo- charred octopus with potato confit and celery salad. My nephew’s trepidation is momentary, as the compelling flavor overshadows the unfamiliar texture. 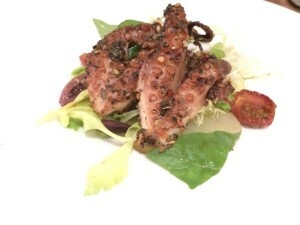 My taste for octopus is also recently acquired, so I’m relieved when the dish satisfies us both. 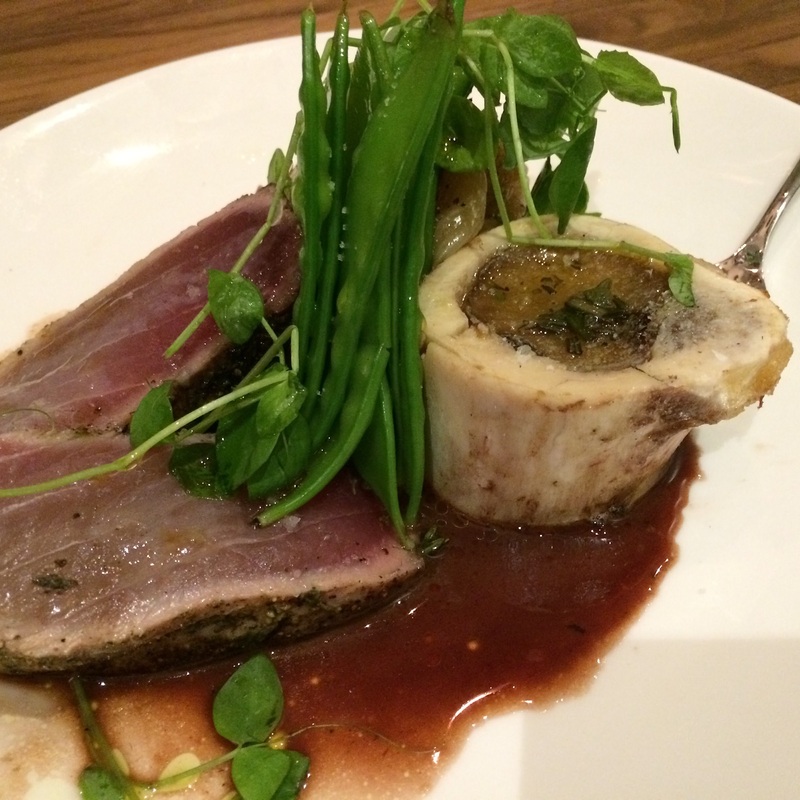 Next up on the try-new-foods challenge is bone marrow, which serves as a luxurious accompaniment to charred tuna. A spoonful of marrow slathered on tuna is further enhanced by a savory wine sauce. It is a rare and delightful treat. 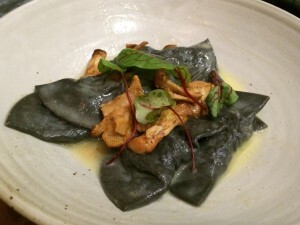 Our exploration continues with the divine squid ink agnolotti filled with a puree of black cod and lump crab, and topped with chanterelle mushrooms. My nephew is triumphant over his newly acquired tastes- a triumvirate of octopus, bone marrow, and squid ink. My husband and I seize the opportunity for a return visit to Centrolina one recent evening when we find ourselves wandering by City Center. A shared starter and pasta dish are all our appetites can handle, but it’s enough to remind us why we enjoyed the restaurant so much the first time. Chef Brandwein is well known for her pasta making talent. A rotating roster of pasta dishes play a central role at Centrolina. We devour the richly satisfying tortelloni filled with burrata, ricotta, and a combo of chanterelle and lobster mushrooms. 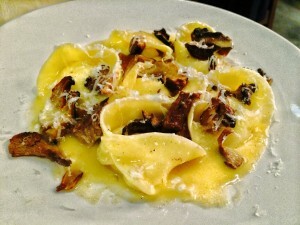 The mushrooms capture our attention with their meaty texture and pronounced flavor. It’s a winning dish. Centrolina is more than a restaurant. It’s a market as well, and our late night visit is enhanced when I snag a takeaway chickpea salad that’s marked down to $3.50. The neutral color scheme and high ceilings at Centrolina provide a sleek and modern feel. It fits in with the persona that City Center aims to attract, yet I find the restaurant more approachable than the high-end neighboring shops. I suspect that after a period of time I’ll feel more comfortable with City Center as a part of the DC landscape. I already feel at home at the genuinely appealing Centrolina.